CleanAtlantic Survey – your participation is needed! 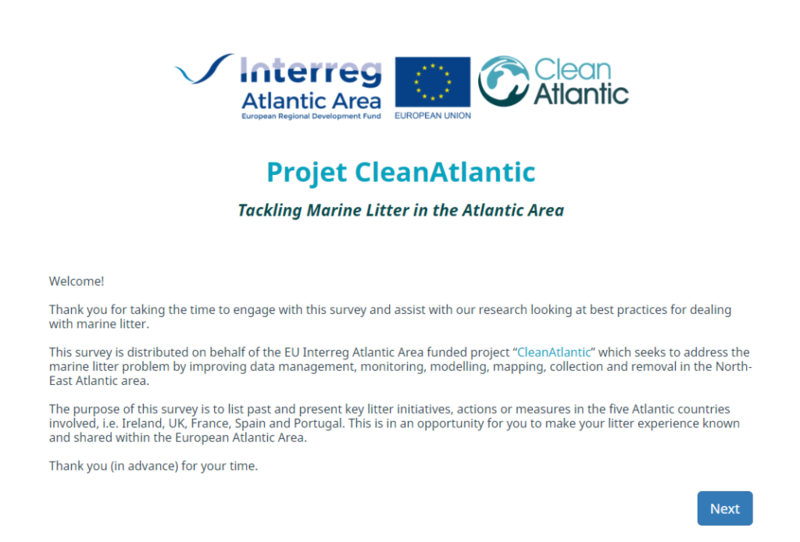 In the framework of CleanAtlantic we are conducting a survey to learn about past and present initiatives related to marine litter pollution in Spain, Portugal, France, United Kingdom, and Ireland. The objective of this survey is to identify good practices that can serve as inspiration for any organization or individual who plan to initiate actions to reduce this type of contamination. The information collected will be freely available through a interactive map in the project website. If you have participated or participate in any project, program, initiative, etc. related to marine litter, we would like to invite you to cover the survey following this link. The survey is also available in Spanish and French. Your contributions will help us create the inventory of actions where you will have the opportunity to share your experience and knowledge with the rest of the European Atlantic space. We would also appreciate it if you would send this survey to whoever you think might be interested. We thank you for taking the time to engage with this survey and assist with our research looking at best practices for dealing with marine litter. The survey will be closed on the 18th December.